Bright straw color. 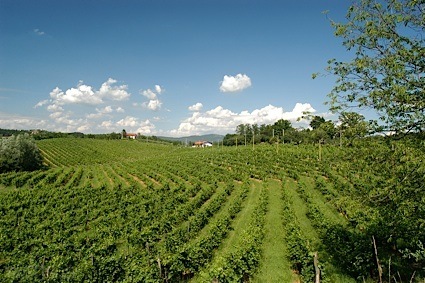 Floral, earthy aromas and flavors of wildflowers in the grass and spiced apple and peach with a silky, bright, dry-yet-fruity medium body and a seamless, interesting, breezy finish with accents of stone fruit in cream with soft, fruit tannins and no oak flavor. A nice mellow, floral, and lightly earthy gewurztraminer sipper. Bottom Line: A nice mellow, floral, and lightly earthy gewurztraminer sipper. 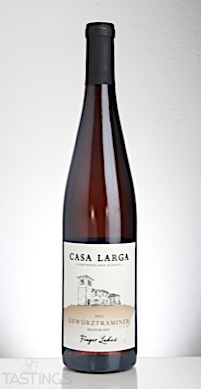 Casa Larga 2015 Medium-Dry, Gewurztraminer, Finger Lakes rating was calculated by tastings.com to be 88 points out of 100 on 9/25/2017. Please note that MSRP may have changed since the date of our review.